War continues to rage in paradise. It is a war waged from ridge to reef where bullets and bombs constantly rain on the rural villages standing in the way of big mining, plantations, and other destructive projects over the past century. 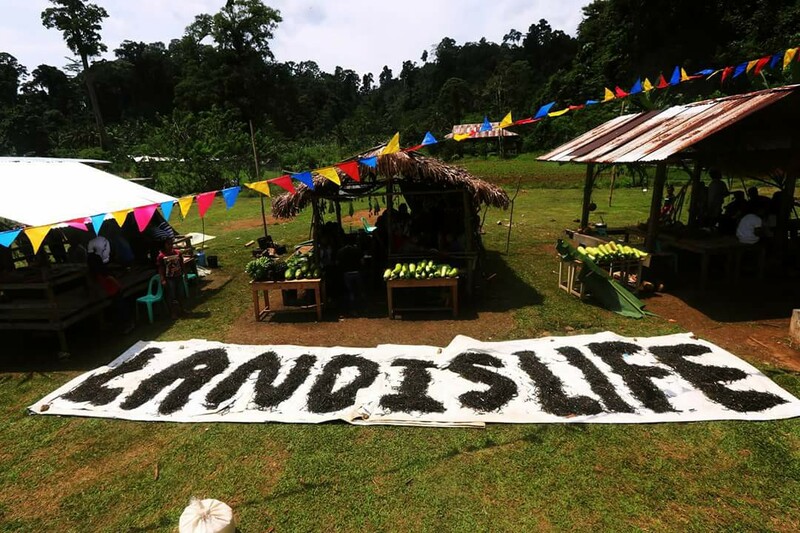 In the thick forest corridors of the 58,000-hectare Andap Valley Complex in Lianga, the Lumad communities have fiercely resisted the entry of coalmines and other extractives since the 1980s. The decades of defiance have been continuously met with brutal militarization. 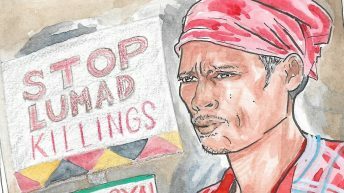 Their leaders, including Emerito Samarca, executive director of Lumad school ALCADEV, have been killed by military and paramilitary troops. They have been repeatedly forced to evacuate their homes because of these brazen attacks. 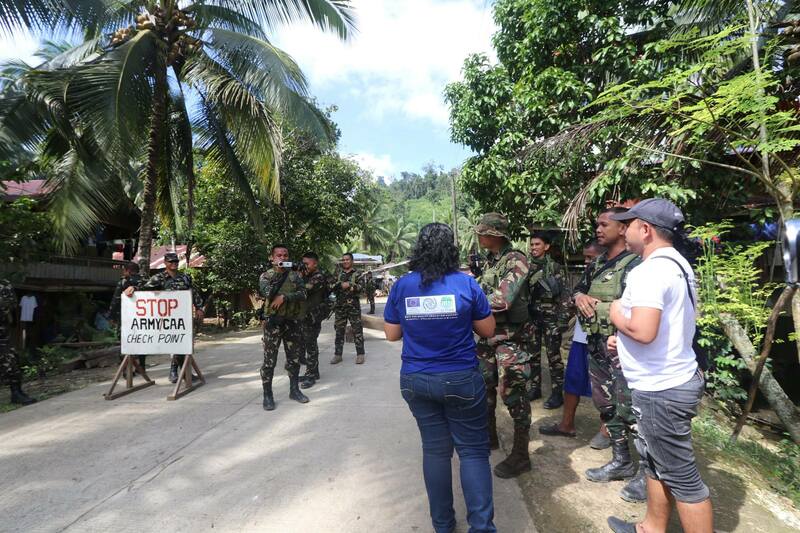 At present, 1,177 Lumad people and another 406 Lumad students and 59 parateachers are staying in different evacuation camps in the province because of combat operations by the 75th Infantry Battalion of the Philippine Army. 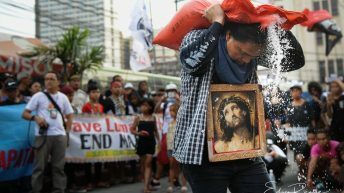 Notoriously involved in the 2015 Lianga massacre of Samarca and Lumad leaders Dionel Campos and Datu Juvello Sinzo, the 75th IBPA has also imposed a continuing food and economic blockade to prevent aid from reaching the displaced communities. Meanwhile, the town of Kasibu, Nueva Vizcaya, known for its old growth forests and fertile lands that helped the province earn its title of ‘Citrus Capital in the Philippines,’ continues to suffer from the destructive operations of Australian-Canadian mining giant Oceanagold. 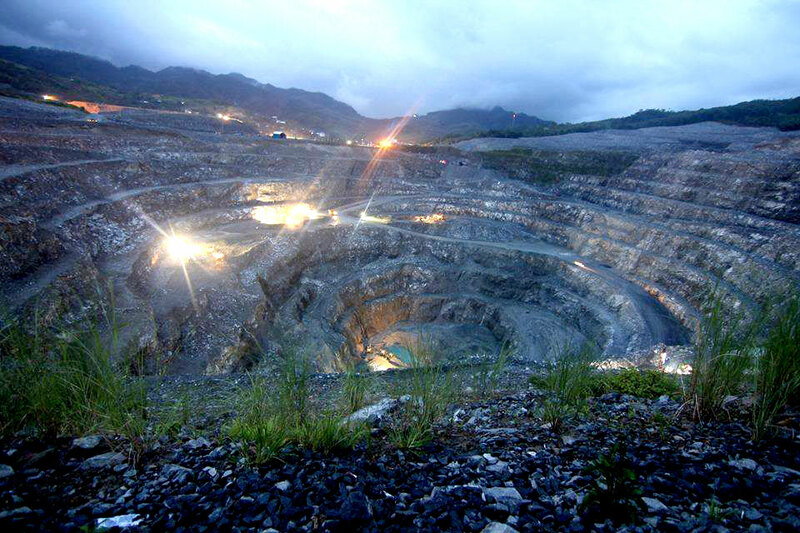 Since acquiring the 14,871-hectare mining tenement in 2006, Oceanagold has caused the violent demolition of over 200 homes, the continuing exposure to pollution of hundreds more that remain around its mining tenement, and various other human rights violations affecting the local indigenous Ifugao people. 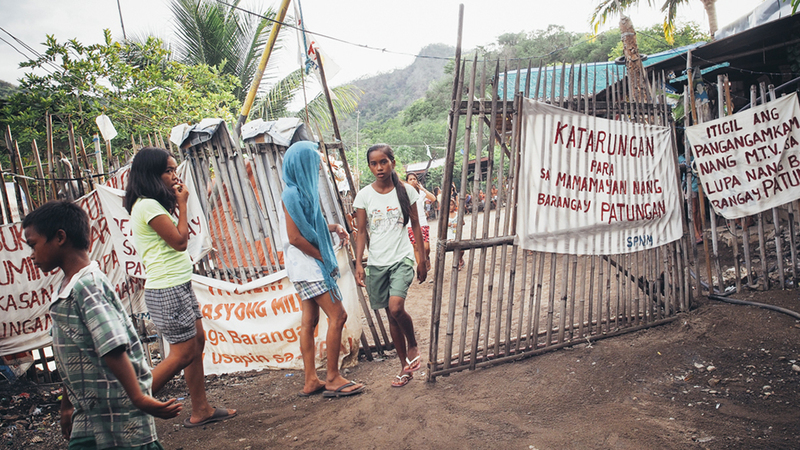 Heightened military operations in September just this year has caused the forced evacuation of an estimated 133 families from anti-mining communities in Kasibu. Soon after, five local leaders and members of people’s organizations opposing Oceanagold, including a minor, were illegally arrested and filed with non-bailable charges. Hiding behind the veneer of ecological sustainability, luxurious ecotourism sites such as the 5,900-hectare Hamilo Coast project of SM Prime Holdings are ‘greenwashing’ over the displacement of thousands of small fisherfolk and farmers who originally subsisted from the natural wonders provided by the Verde Island Passage, the global ‘center of the center’ of marine biodiversity. Hamilo Coast spans the towns of Maragondon, Cavite and Nasugbu, Batangas covering natural coves, pristine beaches, marine protected areas, forests and breath-taking rock formations. 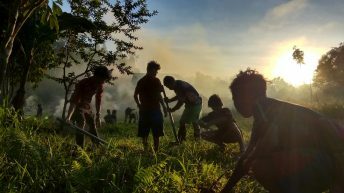 Hamilo Coast was acquired by SM’s big business consortium through its purchase of the 8,650-hectare Hacienda Looc estate from the national government—gobbling up more than 200 hectares of land already distributed previously to agrarian reform beneficiaries in the process. The communities have struggled against these land grabs since the late 1990s. 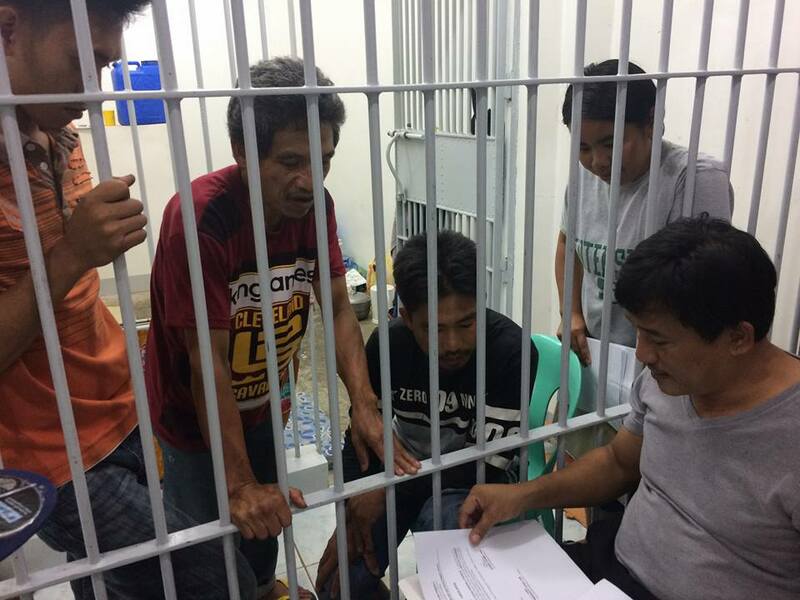 Numerous fisherfolk have been charged with harassment suits. 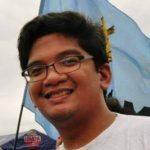 Their leaders, William Castillano and Lorenzo Obrado, have been illegally arrested and continue to languish in prison since 2014. 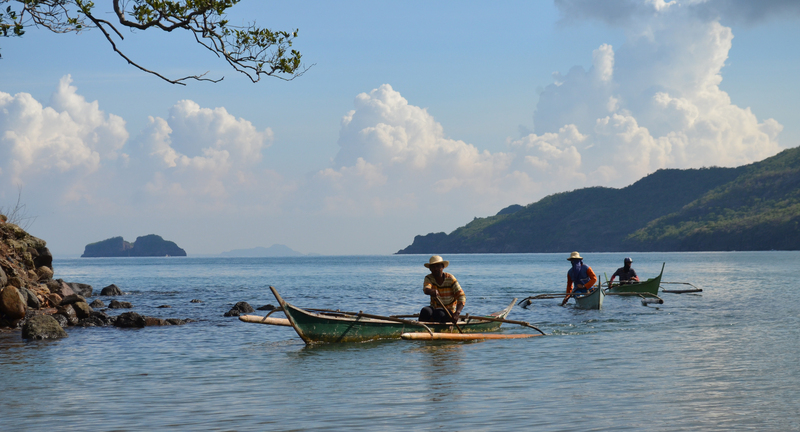 The threat of violent demolition hangs over the homes of 357 families in Patungan Cove, Maragondon, who insist on their right to continue their century-old practice of subsistence fishing. 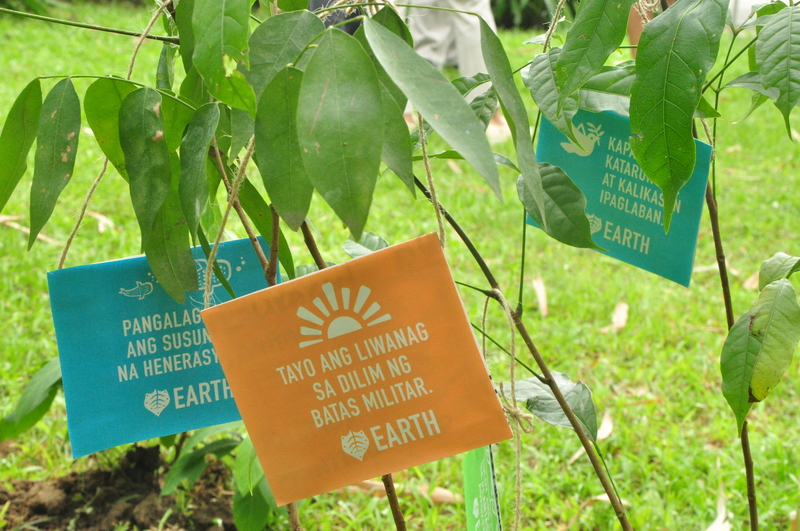 Filipino environmental defenders have been besieged by rights violations under the framework of the past and present counter insurgency programs. As in the cases of all the abovementioned provinces where armed revolt is being waged distinctly from the civilian protest movements, the national government has perilously refused to differentiate between the two. 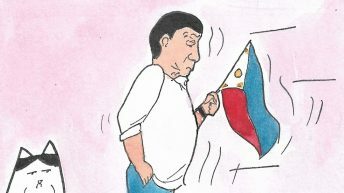 This has become even more pronounced under the current regime of President Rodrigo Duterte. 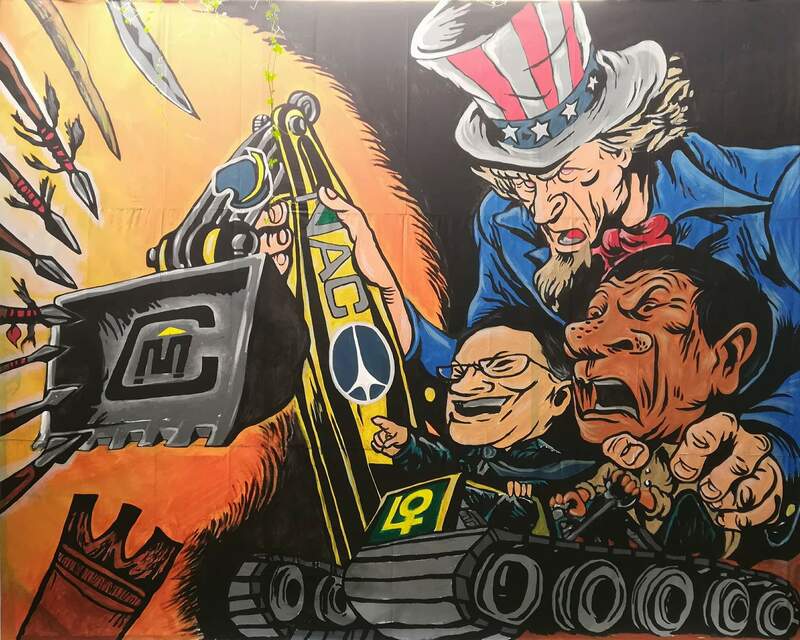 In just over a year under Duterte, at least 33 environmental defenders have been killed, 240 have been slapped with harassment lawsuits, and over 17,500 people have been forcibly displaced because of their resistance to destructive projects. An alarming 73 percent of the monitored killlings were perpetrated by suspected and confirmed military, paramilitary, and police elements. 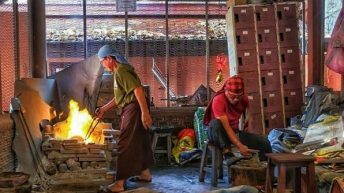 Big mining and plantation projects are involved in the overwhelming majority of these cases, affecting indigenous people and peasant farmers the most. 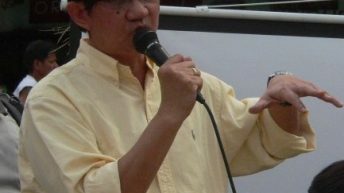 The groups challenged the Duterte government to “immediately free all remaining 24 illegally detained environmental defenders from prison, and drop all 230 trumped-up charges still lodged against environmental defenders.” They also urged Duterte to stop the killings of environmental defenders and bring the perpetrators to justice. EARTH conveners are bringing the momentum of this global stand for environment and human rights to the broad protest mobilizations. 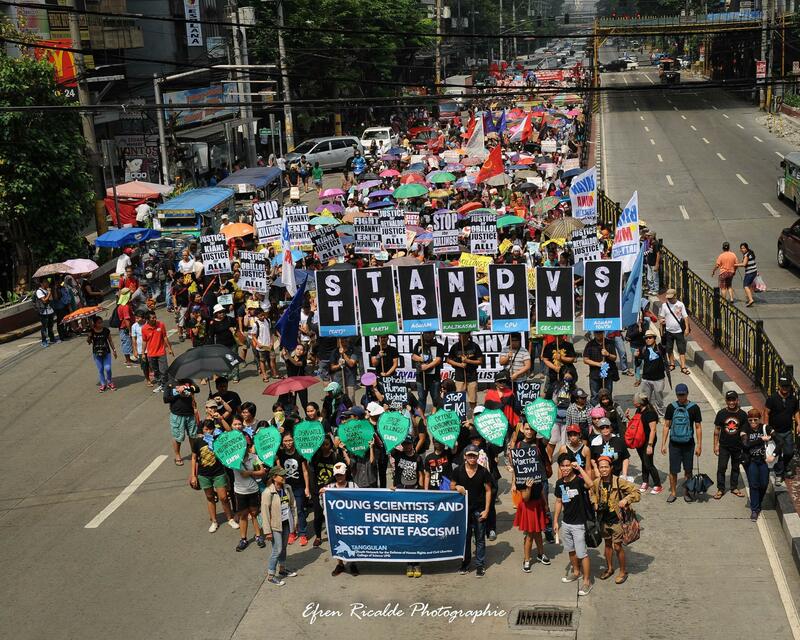 They jined the activities on December 10, the world’s commemoration of the International Day of Human Rights, together with various other anti-tyranny forces at the Bonifacio Shrine. It is in these dark days when the return of dictatorship seem most imminent when the light of democracy, freedom, and justice must burn brightest. 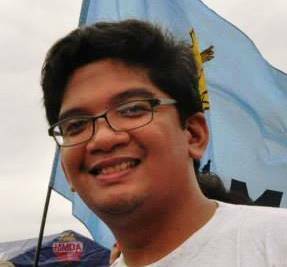 Leon Dulce is the campaign coordinator of the Kalikasan People’s Network for the Environment (Kalikasan PNE). 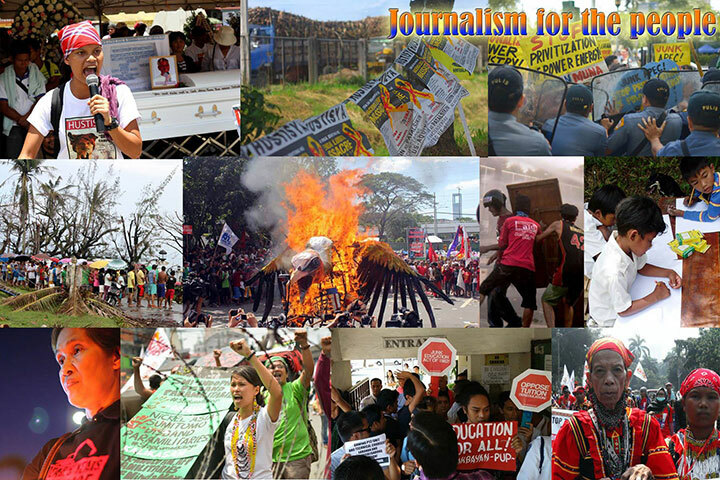 Kalikasan PNE serves as the secretariat of the Environmental Advocates against Repression and Tyranny in Defense of Human Rights (EARTH), a broad coalition united to expose and oppose the human rights violations under the Duterte Administration.